"Incredible! 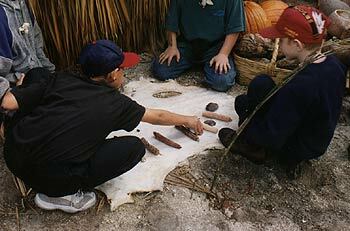 It taught me a textbook full of facts about the Florida American Indians I didn’t know! They should bring in every 4th grade class to see this." The natives of North Florida were known as the Timucua Indians and their settlement in this area was called the Village of Seloy. 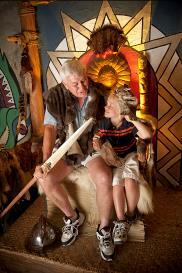 These Native Americans were said to be a handsome people with most achieving an average height of 6 feet or more. They were hunters, gatherers, and farmers. The women took care of the home, children, and cooking while the men provided food and protection for the family. These Indians developed a way of life that enabled them to live and prosper in the world they lived in. 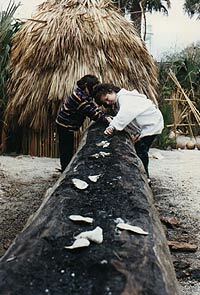 Students experience pre-European life in old Florida.